Although the magical gardens and idyllic setting of Lower Chilland House mark it as something out of a fairytale, the quaint exterior hides a plethora of modern amenities. Penny Churchill reports. 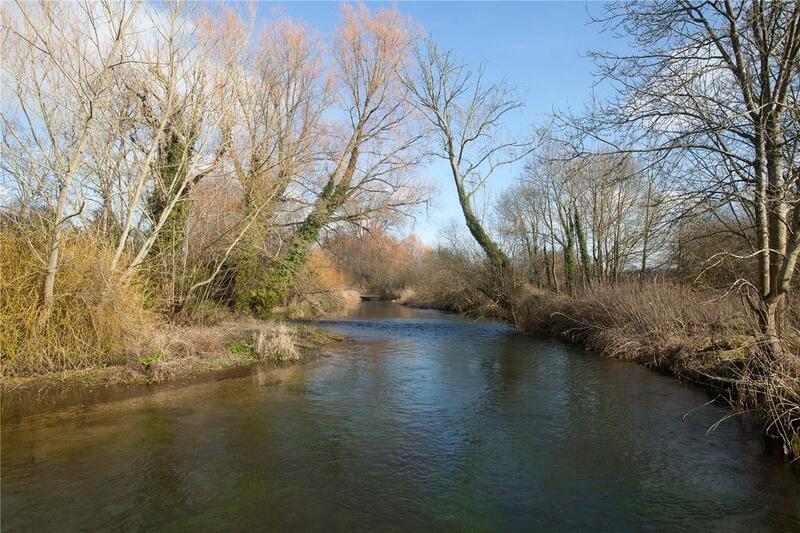 Lower Chilland House at Martyr Worthy, four miles east of Winchester, stands in a peerless riverside location on the banks of the River Itchen, widely ranked among the world’s great fly-fishing chalkstreams. Currently for sale through Savills at a guide price of £7.5m, the mid-18th-century house, listed Grade II, conceals an ultra-contemporary country retreat behind its traditional Georgian façade, created to international standards by its American owner, who bought it in 2006. 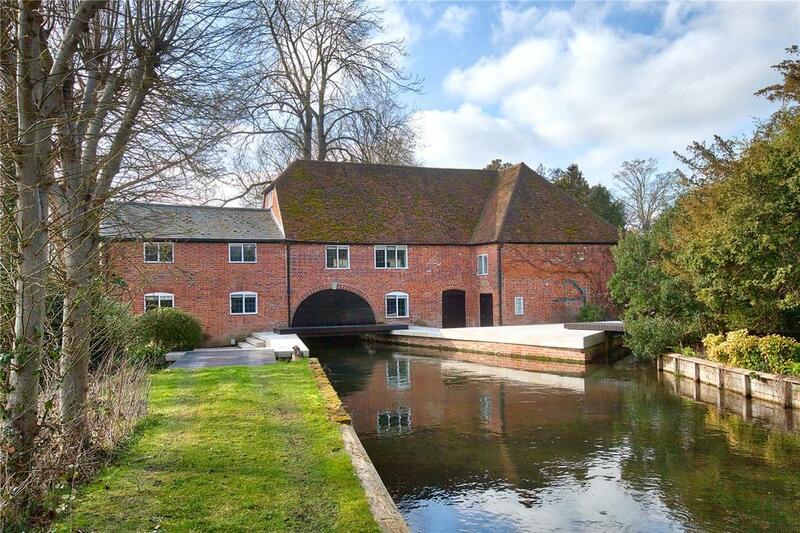 It stands in 51⁄2 acres of landscaped gardens, which provide a magical backdrop, enhanced by the River Itchen flowing along the southern boundary, and the Mill Leet running through the grounds, providing 875 yards of double-bank fishing between them. 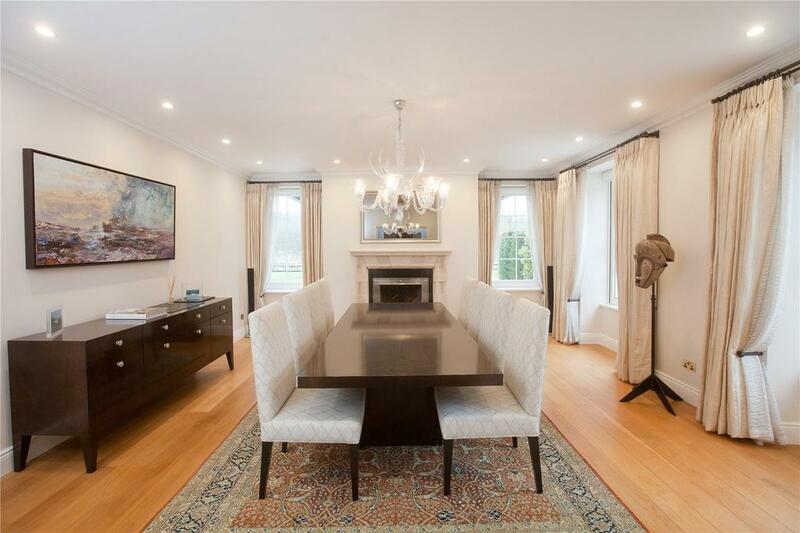 Space and light abound throughout the house, from the formal drawing room and dining room on either side of the hall to the inner staircase hall, the kitchen/breakfast room and its adjoining sitting room, with French doors opening to a covered outside dining area. The first-floor master suite comprises a magnificent master bedroom, a large dressing room, a bathroom and a private terrace. 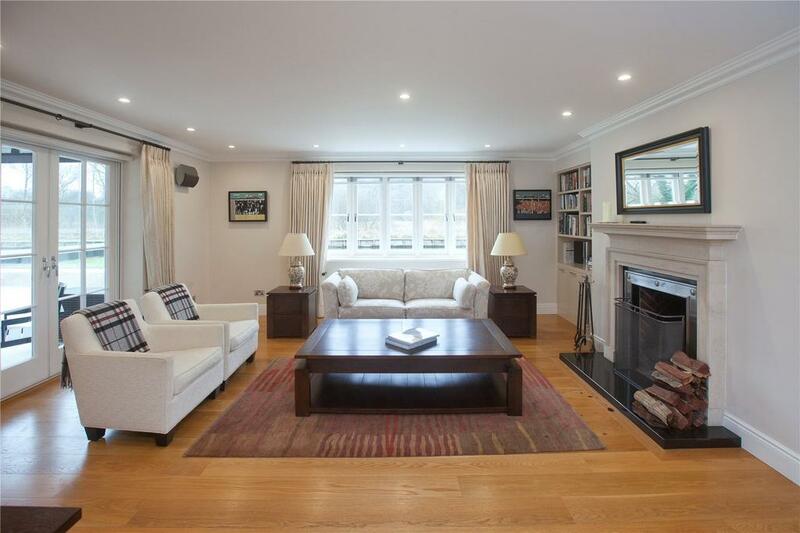 There are two guest bedrooms and a bathroom on this floor, with a wood-panelled cinema room in the attic above. Serious exercise and total relaxation are everywhere in mind, from the magnificent swimming pool at the back of the house to the separate lap pool equipped with a built-in speaker system for length training. The pool house incredibly opens up along one entire wall, a modern design which somehow manages to remain sympathetic to the original architecture of the house and conjures up pleasant images of long summer days outside. 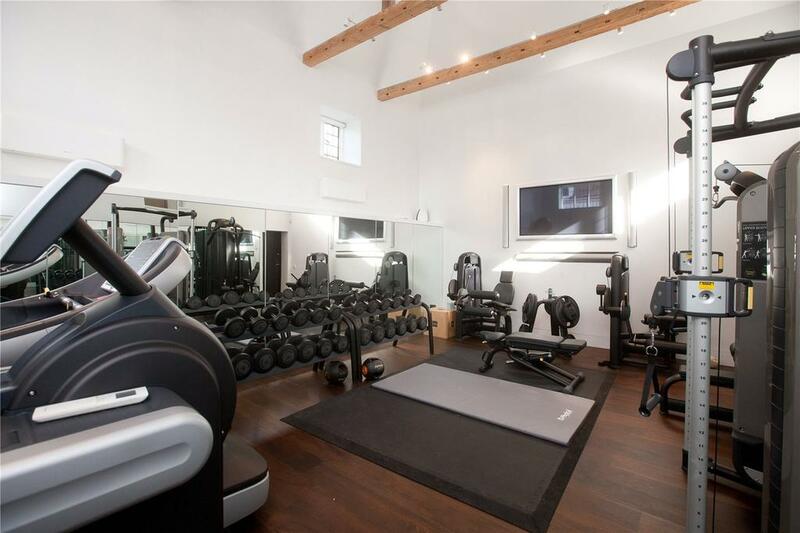 The Grade II-listed Mill House has been converted to a state-of-the-art gym, with bespoke treatment and steam rooms, but could also be adapted to additional guest accommodation, if required. 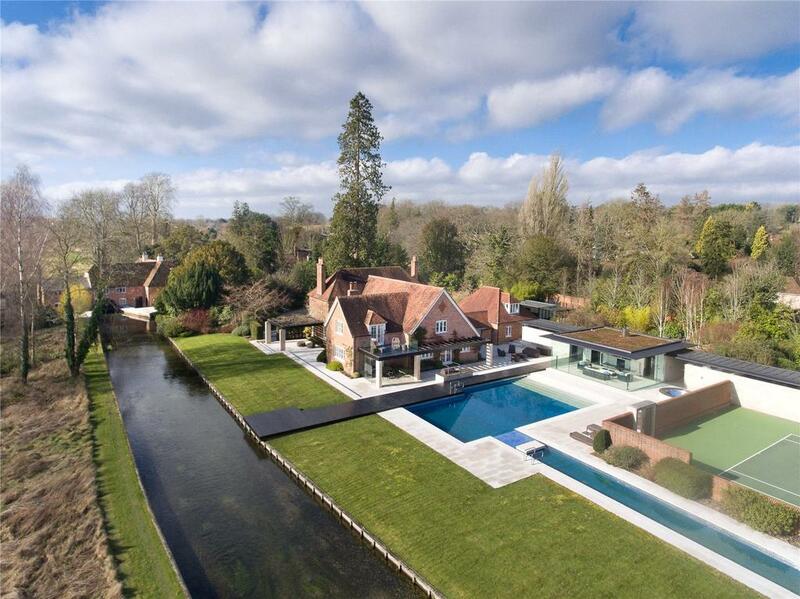 Lower Chilland House is on the market through Savills at a guide price of £7.5 million.  For more information and pictures, click here.